Applications are now available for 2017 season big game, sheep and goat hunting licenses. Colorado Parks and Wildlife brochures for big game and sheep and goat are online and available in print at any CPW office or license vendor throughout the state. Apply online at CPW's secure license application portal. This is the last year paper hunting license applications will be available. In 2018, all applications will be online only. All customers need to have an individual email address and password to apply for or purchase CPW products. Returning users should make sure their information is correct when logging in this year. "We encourage sportsmen and women to review CPW's brochure and regulations or call our hotline before applying for a license," said Cory Chick, CPW's License Administration Manager. "We want hunters to be as informed as possible so they are not caught by surprise by new regulations, new unit boundaries, or new processes for applying for a license." The 2017 Colorado Big Game brochure contains regulations for deer, elk, pronghorn, moose and bear, and the 2017 Colorado Sheep & Goat brochure contains regulations for Rocky Mountain bighorn sheep, desert bighorn sheep, and mountain goat. There are several changes to license reissue, refund and exchange policies in 2017. All license exchanges will be charged a fee of 50 percent of the cost of the original license, not to exceed $25. Any license that is returned to CPW that took five or more preference points to draw will be manually reissued to the next eligible person based on the residency status of the returned license. More detailed license exchange and refund information is available online or in the brochures. Additional changes to 2017 regulations include the addition of fluorescent pink as an alternative to hunter orange. Hunters are required by law to wear pink or orange when taking deer, elk, pronghorn, moose or black bear with any firearm in order to ensure visibility in the field. This year, big game is now included in CPW's Walk-in Access Program. 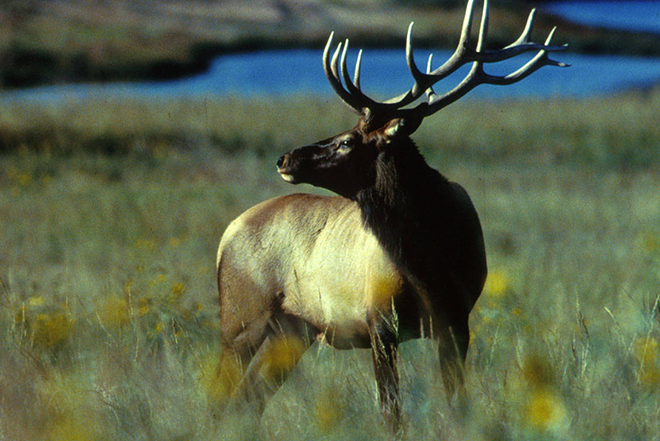 This will allow public access to some private properties for deer, elk and pronghorn hunting within certain season dates. There will be more details about this program in the Walk-in Access brochure, out in August. In select areas, a random selection of licensed hunters will be required to submit their deer harvest to testing for chronic wasting disease. This is a new policy in order to better gauge the presence of this disease in some deer herds. Experts advise against consuming meat from infected animals, although no research has found that the disease is transmittable to humans. Because the testing is mandatory, there will be no charge to the hunter. Customer service representatives are available to help you plan your hunt from 8 a.m. to 5 p.m. MDT at 303-297-1192 and trained hunt planners are available to assist hunters by phone at 303-291-7526. An approved hunter education card or certificate is required before applying for or purchasing a Colorado hunting license. Information about planning your hunt is also available on the CPW website.